Following up our overview of the best men’s watches from Baselworld, we now turn our attention to the products made for the ladies. We’re happy to report that it was indeed a solid year for awesome ladies’ luxury watches with a bevy of beauties to choose from. Read on for our top picks for the hottest new women’s watch releases from Baselworld 2019. It’s no secret that the Nautilus is one of Patek Philippe’s most coveted models. And the good news for the ladies is that the renowned Swiss watchmaker makes an entire collection of Nautilus models specifically for them. 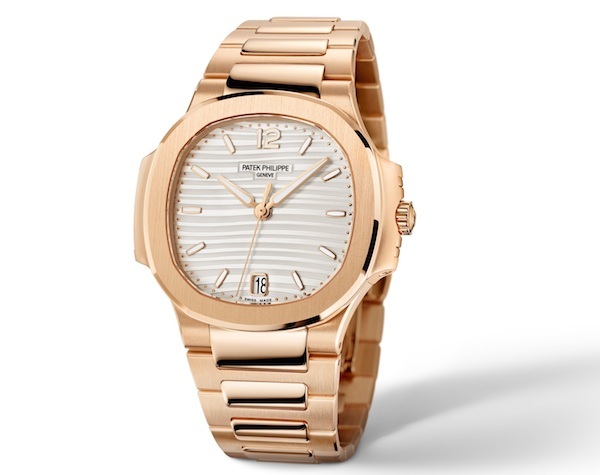 And for 2019, Patek Philippe unveiled a range of new ladies Nautilus watches including a pair of rose gold versions. Previously, the automatic ladies’ Nautilus watches in rose gold were only offered with diamond-set bezels and now, they are available with plain gold bezels too on top of the 35.2 mm porthole-style cases. Dial choices include a silvery opaline one (ref. 7118-1R-001) and golden brown opaline (ref. 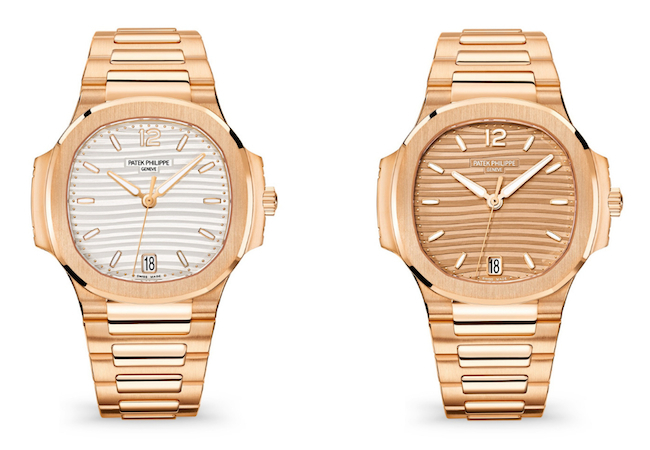 7118-1R-010), both complete with the wavy horizontal lines characteristic of the women’s Nautilus watches. Another win for the women is that these models are automatic watches, running on Caliber 324 with a 45 – 55-hour power reserve range. 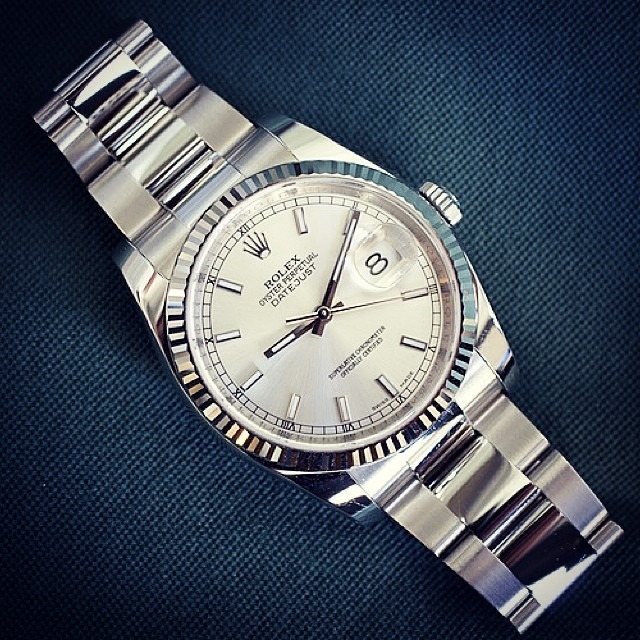 Officially, the Day-Date 36 Rolex President watches are classified as men’s watches. 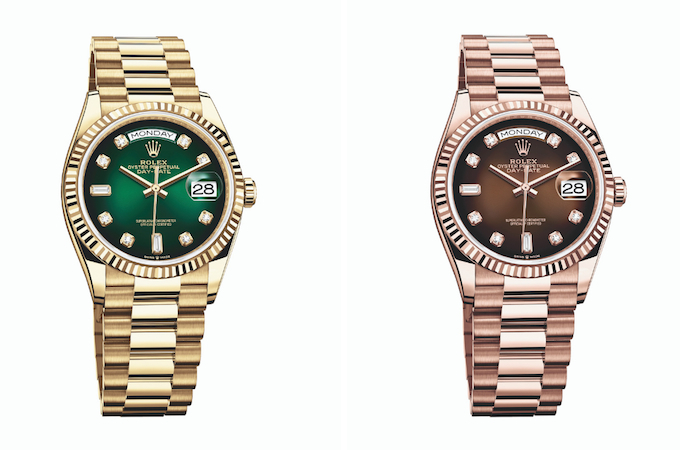 However, one look at the new Rolex Day-Date 36 collection from Baselworld 2019 and you’ll note a distinctly feminine approach. Available in either yellow gold, white gold, or Everose gold, the latest Day-Date 36 ref. 1282xx watches are now equipped with the new-generation Caliber 3255 movement with the increased 70-hour power reserve (compared to the previously 48-hour rating of the preceding 1182xx family). Within the new family of Rolex President watches, there are fluted bezels and diamond-set bezels to choose from. Plus, dial options include colorful gradients (labeled as “ombré), vibrant semi-precious surfaces (pink opal and turquoise), and lavish diamond pavé dotted with rainbow-colored sapphire diamond hour markers. Naturally, the new Day-Date 36 watches retain the signature 36 mm Oyster cases, which is a great size for a wide range of wrists including women’s ones, and the iconic President bracelets with semi-circular links. One of the most popular women’s luxury watches of the last two decades has no doubt been the Chanel J12 watch. 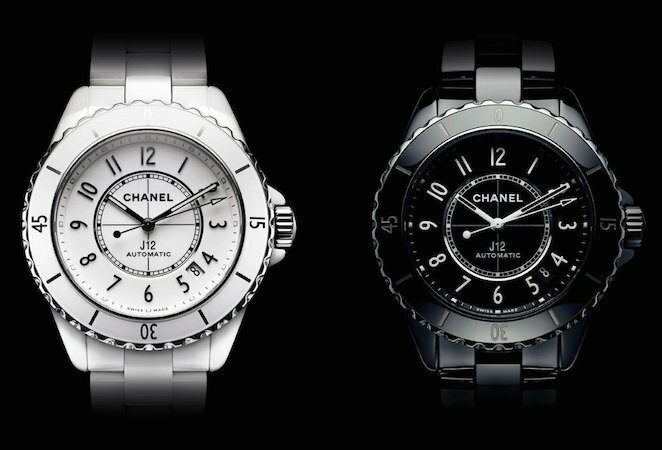 And to celebrate its 20th anniversary, Chanel has introduced the new and improved J12. At first glance, these watches look almost identical to the black and white ceramic J12 watches of the past, but inside the watch is, in fact, a new COSC-certified automatic movement made by Geneva-based movement manufacture, Kenissi. The new Chanel caliber 12.1–visible from the caseback–is not only finished and decorated to a higher standard than previous J12 movements but also boasts an improved power reserve of 70 hours. Aside from slight tweaks to the Arabic numerals on the dial, aesthetically, the new Chanel J12 models maintain the same strong design codes that made the watch so recognizable in the first place. Sporting 38 mm white or black polished ceramic cases water resistant to 200 meters and matching lacquered dials, these are the J12 watches we know and love. Matching the ceramic cases are the ceramic links bracelets, which come fitted with a triple-folding deployant clasp. Independent manfucture, MB&F has been making waves in the watch industry for 14 years now with imaginative timekeeping “machines” that creatively fuse art, science-fiction, and horology. And now, for the first time in the young brand’s history, MB&F has created a woman’s watch. One of the hottest women’s watch releases from Baselworld 2019 is without a doubt the MB&F Legacy Machine FlyingT. With 38.5mm white gold cases set with diamonds and highly domed crystals, the dial of the Legacy Machine FlyingT ladies’ watch is home to a flying tourbillon cage at the center, further crowned with a single diamond on the top that also moves with the tourbillon. The time is read via a small tilted subdial with blued serpentine hands, positioned in a fashion where only the wearer can see it. 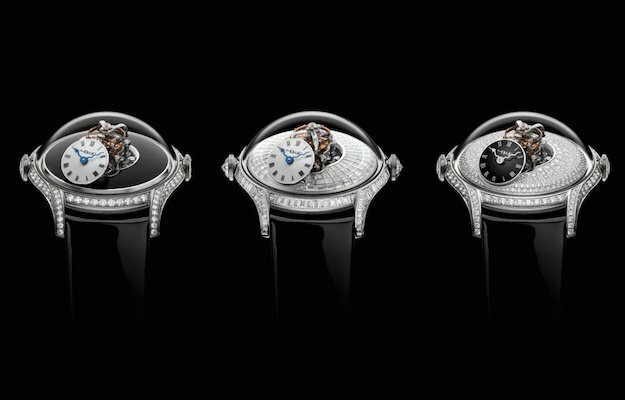 MB&F made three versions of the MB&F Legacy Machine FlyingT: one with a black lacquer dial, one with a brilliant-cut diamond dial, and one with baguette-cut diamond dial. The rainbow trend has been going strong in luxury watches for a few years now and for 2019, Chopard added two new colorful gem-set watches with a pair of Imperiale Rainbow Jewellery pieces. Crafted in 18k rose gold, the 36 mm Chopard Imperiale Rainbow Jewellery watches flaunt diamond pavé on the case and a kaleidoscope of baguette-cut sapphires on the bezel. The rainbow-colored sapphires are also used on the dial as hour markers sitting alongside the rose gold Roman numerals. 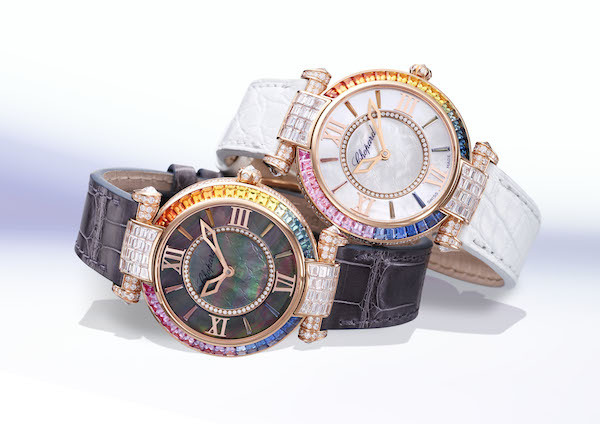 The new Chopard Imperiale Rainbow Jewellery watches are available in two colorways–one with a Tahitian mother-of-pearl dial and a gray leather strap and the other with a white mother-of-pearl dial and a white leather strap. It’s fantastic to see more and more ladies’ watches being highlighted at large-scale fairs like Baselworld and SIHH and we look forward to seeing many more in the near future.